Place the discs in a microwave safe bowl. chocolate to scorch. Stir and melt again for 30 seconds. skirt. Continue until you have coated about 30 berries. They should be dry by now. it back in the container. 15 minutes. Serve the same day you make them. They were perfect for our table. to see the rest of it. I think she was blown away! Hugs and Kisses until then! 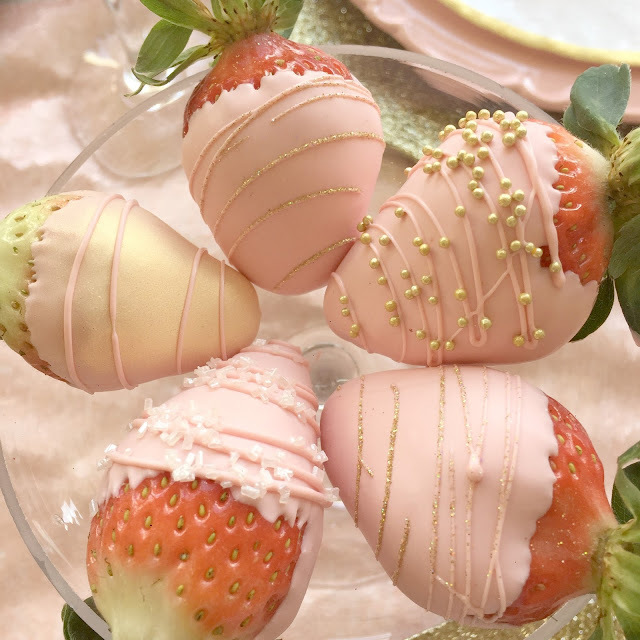 ♥ the little gold touches to those gorgeous berries! You are so talented, Jackie. So glam Jacqueline, I can't wait to see the table and all the juicy details! 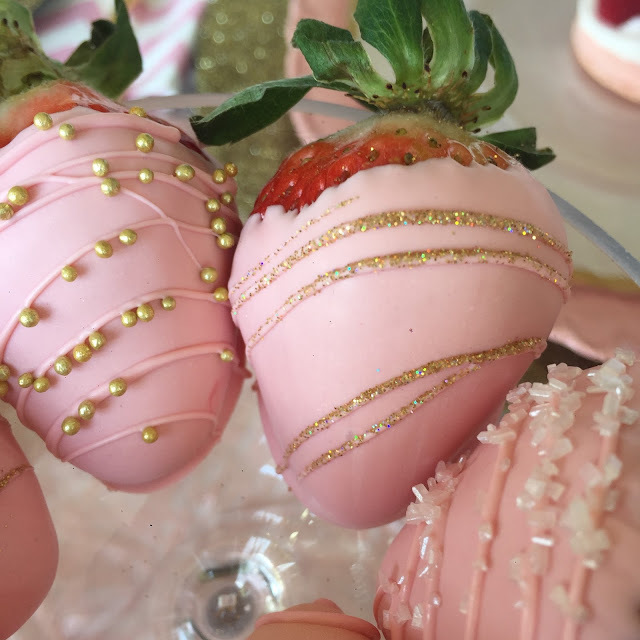 Love these pretty blingy strawberries. The pink and gold is precious! I know she was thrilled as you do everything with great style. Hope you share at our new party Dishing it & Digging it on Sundays. I saw a few images, I guess on Facebook. It was incredible! You don't do anything in a small way. These strawberries are the prettiest I've EVER seen. What a sweet aunt you are! 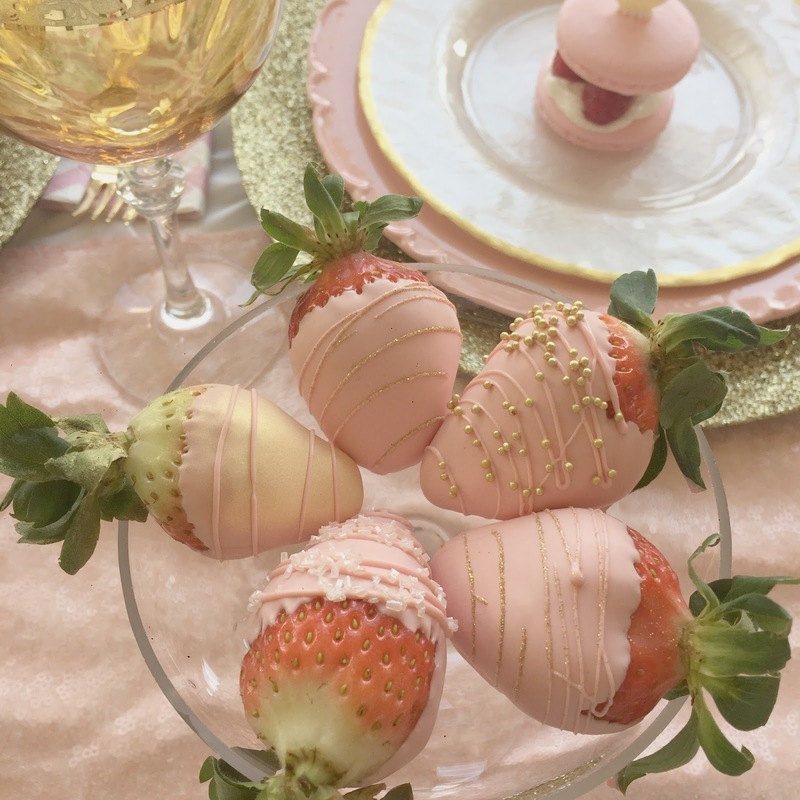 Those strawberries are magazine-worthy!